Security sensors are the first item on our list with which most people are already familiar. These devices keep an eye on would-be intruders 24/7 in a number of different ways. 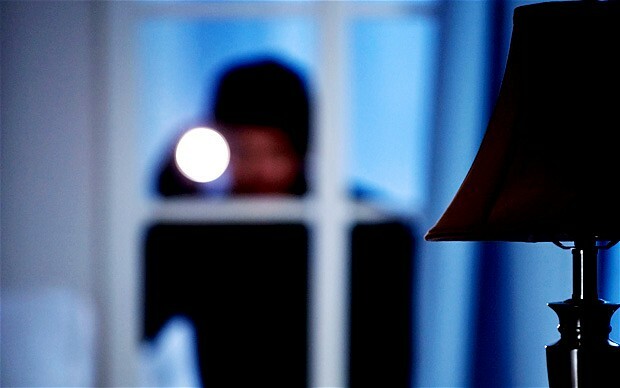 Some detect motion in your house, while others such as glass break, window, and door sensors are designed to alert the moment an unwanted guest attempts to enter a home. They are intended to be connected to home security systems which notify police in the event the break-in is detected. Nothing really new here. What is new is their ability to communicate with home automation systems and smartphones. Traditional security systems were only capable of communicating with a central monitoring station. These monitoring companies attempt to contact homeowners in the event of an alarm being triggered. If they cannot reach the homeowners then police are called and sent to the home. Modern systems are capable of far more. Smartphone applications allow homeowners to access their systems from wherever they may be. They also can send text message and email notifications directly to homeowners. This means it's feasible for homeowners to monitor their own systems or in the case they still have central station monitoring, they still receive notification quicker. When linked up to a smart home system, security sensors and a security panel provide valuable information for an automation system to receive and to which they can react. A very basic example of this is your automation equipment turning on lights in the home when a security violation is triggered. This simple addition to your security will further discourage burglars from sticking around and expose their location to others. Another nice, but easy to implement solution is automatic pathway lighting. Put simply, this ensures when you return home after dark and open a door into your home, the automation system will turn on the lights between that door and a location in the home you typically go to first, such as the kitchen. The more advanced capabilities are where things get exciting. 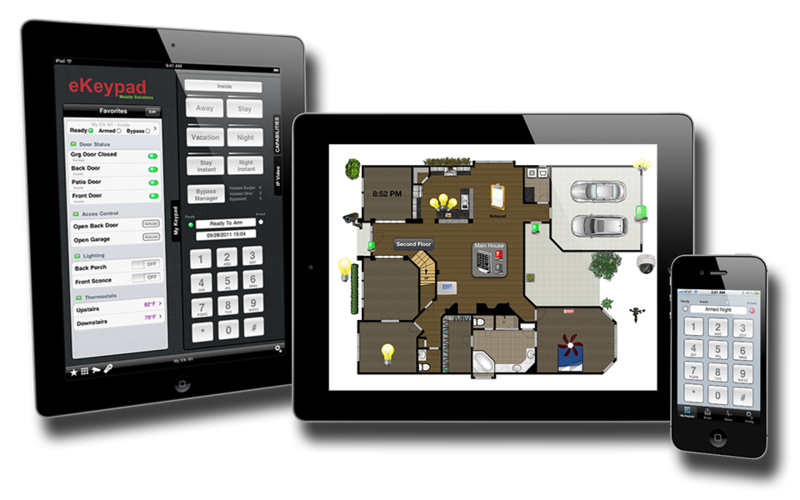 Using the armed status of a security system, home automation knows precisely when you are home and when you are away. At the time you arm the security, the automation system can set the thermostat to a more energy efficient setting, turn off the hot water tank to further save energy, shut off all the lighting and electronics in the home, lock all the doors, and adjust motorized blinds and shades to conceal your possessions. All you did was walk out the door and press one button, but look a how many things happened when you did. No more worrying about doors being left unlocked, lights left on, or expensive to run electronics running up your electric bill. These features make a home less attractive to criminals and increase the security of the home while you are away. They also improve safety by ensuring you don't walk into a dark home, and energy efficiency by automatically adjusting the devices in your home when you leave. The utility of security sensors and their benefits to being connected with an automation system are why they are the 10th way we're introducing to you to make a home smart. The advent of the Internet and smartphones are real game-changers in this industry. Security systems are freed from the restriction of land-line communications. Instead, they are connected to the rest of the worldwide web over Ethernet and wireless cellular connections. This allows smarthphone applications to be configured to connect securely to a home's system, providing it access to status, arming and disarming features, and to receive those all important notifications. Security systems can also be connected with automation devices or smart home systems via Ethernet or wireless protocols such as Z-Wave and ZigBee. There are a couple of options when it comes to connecting the two. Security panels with the wireless radios built-in can serve as the main controller for the automation devices. Models without the radios or homeowners seeking more robust automation capabilities can be connected to smart home hubs which are compatible with the security panel. There are many reasons connected security sensors matter to you so we're going to break each one out. You'll save time and alleviate worry by connecting your security sensors to a smart home system. Simply arming security will place the entire home into an away state. Doors are locked, and window treatments are closed. Upon return the opposite takes place and all you had to do was press a single button. Many thefts are crimes of opportunity. Thieves are looking for homes they can easily access and quickly grab valuable items from with little risk. An effective way to deter them from your home is by making it difficult for criminals to enter undetected with a security system. Homes with security are passed up because home without it present easier, lower risk opportunities. Adding security into a home automation system makes it possible to schedule adjustments to lighting and motorized window coverings. This simulates presence while you are away. No one will be able to tell that it's a system controlling the devices around the home and not you. To potential intruders it'll look like you are home even when you are not. Each passing year people's lives get busier and busier. With busier lifestyles come distractions which lead to lights and electronics getting left on when we leave. Homes are often left unoccupied for large periods of the day now too. Yet, thermostats are left at the same settings as if someone was around. Whether you realize it or not, that's adds up to a lot of wasted energy. By connecting security with automation the systems can do the work for you, making it convenient to save energy. The home will still be comfortable when you return and you will have saved some serious money too. Security systems lower the cost of homeowner's insurance, and connecting them to home automation is becoming increasingly popular. This is because features that improve a home's energy efficient and increase functionality are desirable. Connected security provides both, making your home more attractive and thus valuable when you sell it. Check out our pages dedicated to home security systems and smart home automation, or contact us to learn more.